Every so often we meet someone whose passion and dedication is so commanding you can’t help but admire them. Dustin Demers was one of those people. Dustin was young, passionate, and he challenged those who knew him to change the way we thought about coffee. 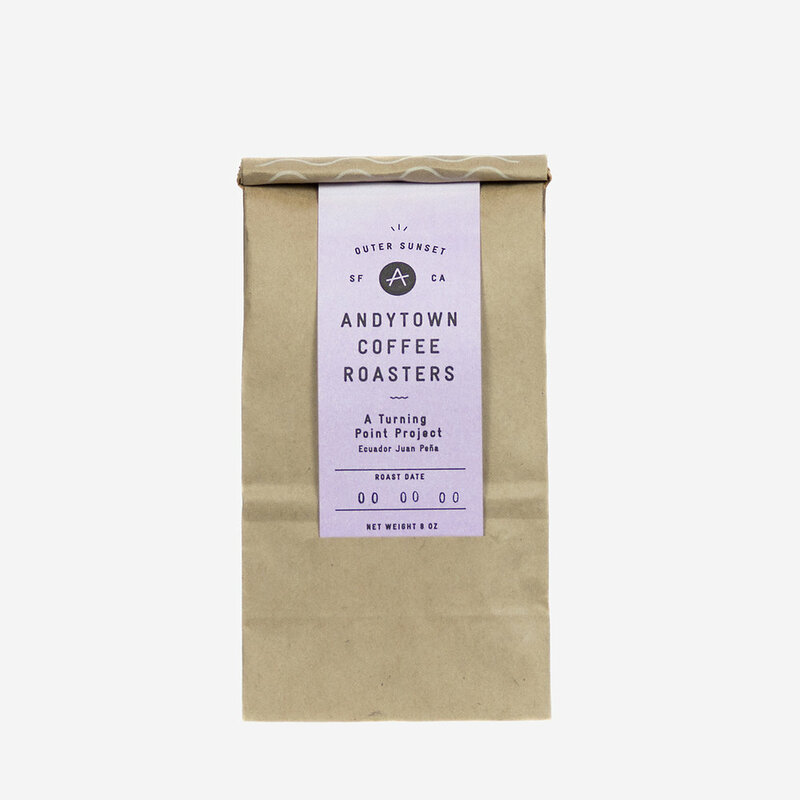 When Andytown was brand new, Dustin would use our roaster for his personal projects and to help a friend. He was a regular face around Andytown in the early days, and we loved having him work in our space. Dustin Demers was a talented roaster, passionate barista, and unapologetic coffee professional. He gave no thought to how much time and energy it would take to roast the perfect profile or brew the ideal v60—he only knew that the coffee he sourced so carefully deserved to be brought to it’s fullest potential. If that meant roasting more than 100 samples, then that’s what he did. He demonstrated his passion with Turning Point Coffee where he got to source, roast, and serve coffee his way. When he passed, he left 6 bags of green coffee on reserve. It just didn’t seem right to us to let this coffee, which he spoke so highly of, go back on the market. It also didn’t seem right for us to profit off of the sale of his coffee. Again, we felt challenged to hold ourselves to a higher standard—Dustin’s standard. As a result, we’ve developed the Turning Point Project. Using Dustin’s company name with his family's permission, we will choose special projects to support at origin by donating a portion of our sales. Our first project is supporting Juan Peña build a cupping lab at his farm in Ecuador. Our current Turning Point Project coffee is the Juan Peña from Ecuador.